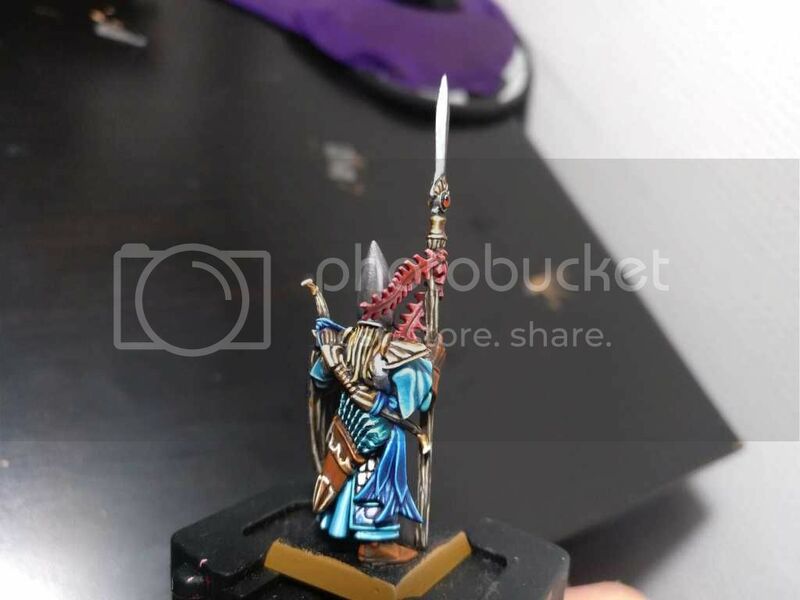 In the end, good models draw inspiration while crap ones kill it..
I’m frequently confused by amazing paint jobs on awful models. That’s the Death eye sockets, right there! I guess you are thinking of a freehand on them, and i tried! Indeed. Your explanation makes sense. And the scratches etc on them look great. 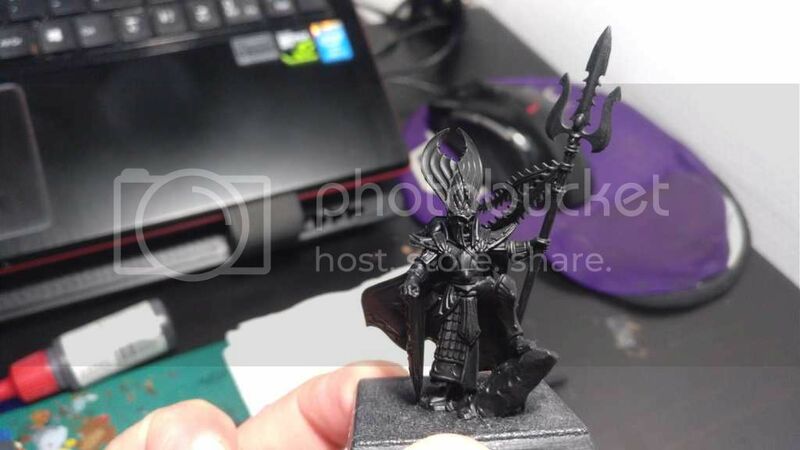 perhaps this is indeed the best that can be gotten out of these models. You're right that sometimes a model almost paints itself and others keep feeling like an uphill paint job the whole way. You're right that sometimes a model almost paints itself and others keep feeling like an uphill paint job the whole way. 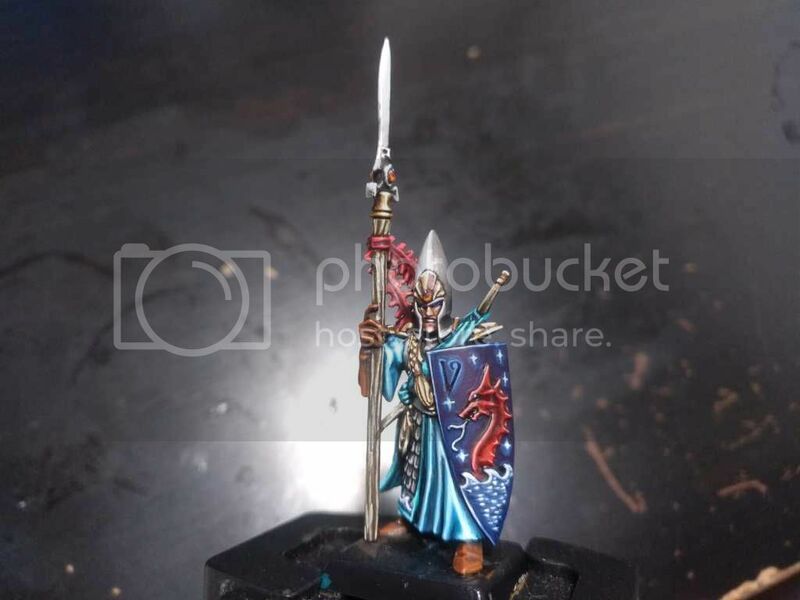 A high elves painting log.. Follow the dramatic battles and events occured in the ''island of gods'' 4 armies campaign! Terrae Autocratorum. 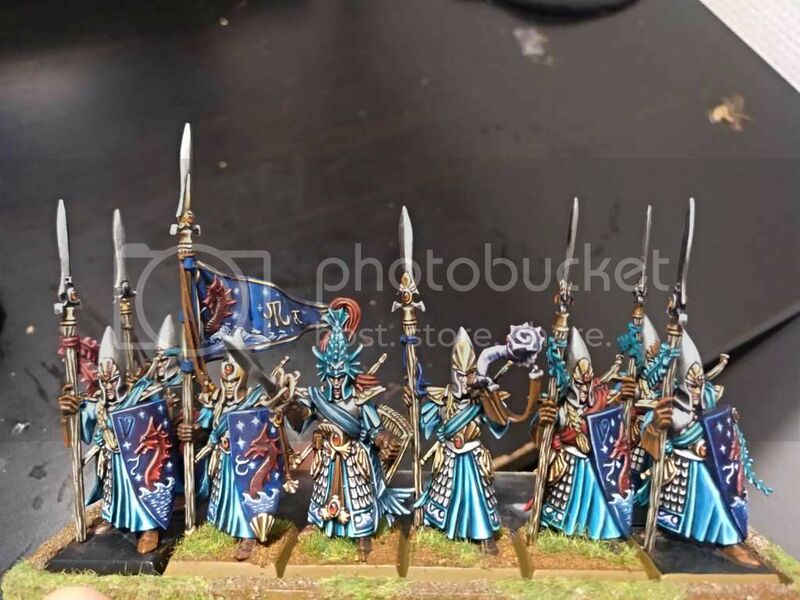 A space marines log..
Old or new models? I preferred painting the old, metal ones. They felt very elegant to me. EDIT: 1 more, 3 to go. From here on it started getting repetitive. 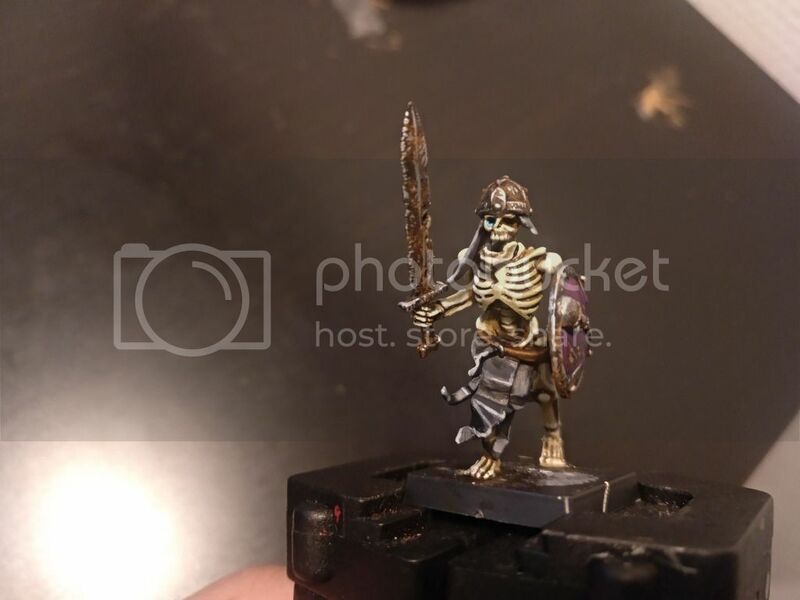 EDIT 3: Yeaaaah i finished the last 2 skeleton warriors i planned to do. 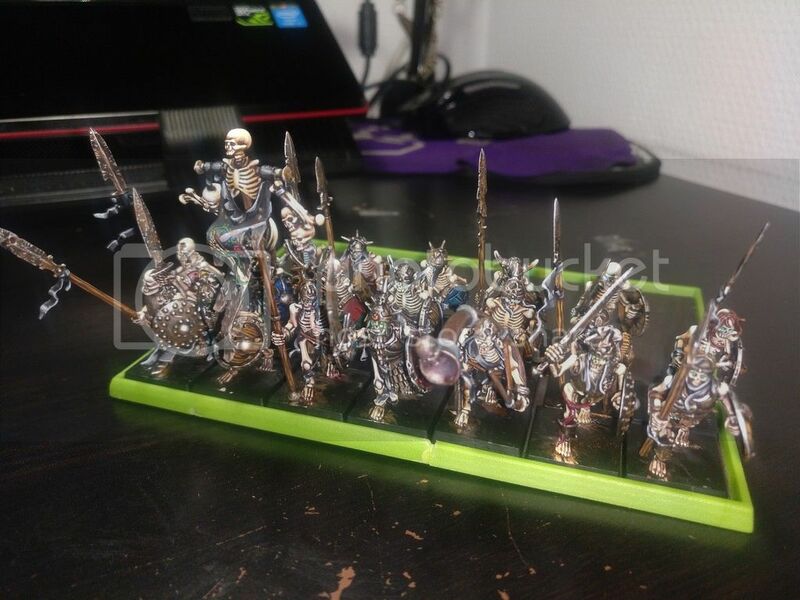 Some unit shots included so you can see the progress: 19 out of 35 painted, but i lack the models here in belgium so i put wight kings on hold until mid-April. 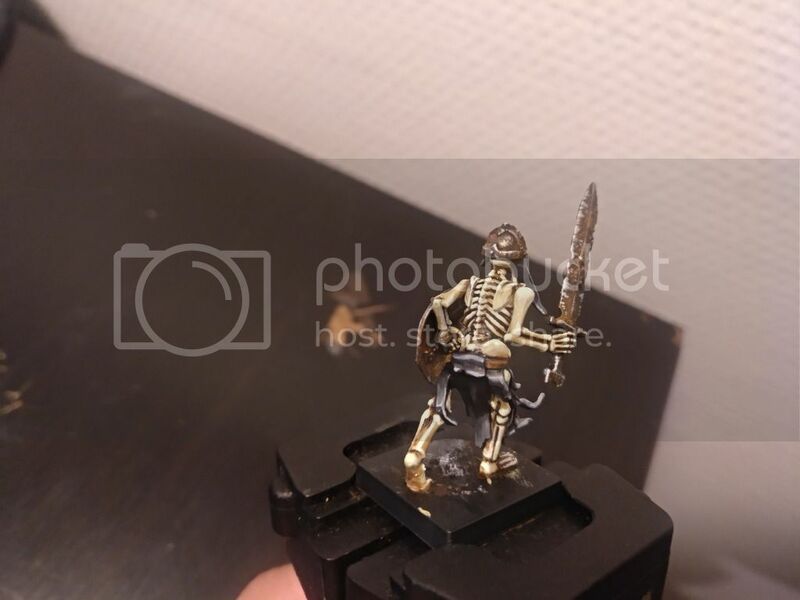 On this back pic you can see the differences in bone colours im using, some are subtle and cant be seen much on the pic but others are apparent. Tomorrow more... Gotta love to see the armies growing. 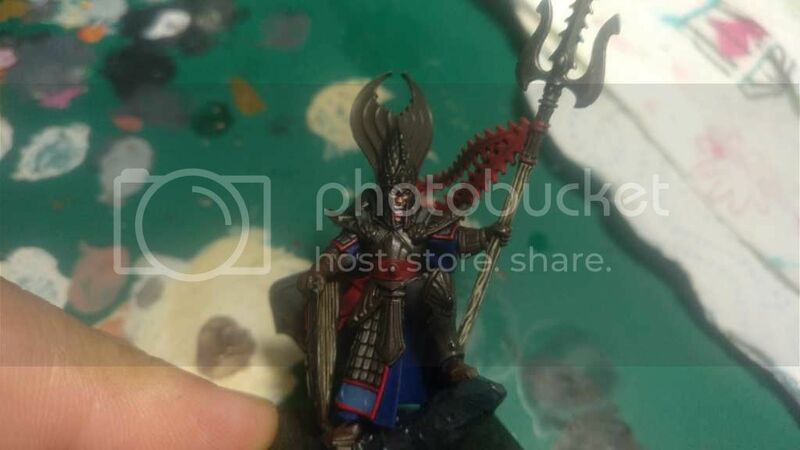 Looking forward to seeing the seahelm painted. I think the purple shield is my favorite of that unit so far. 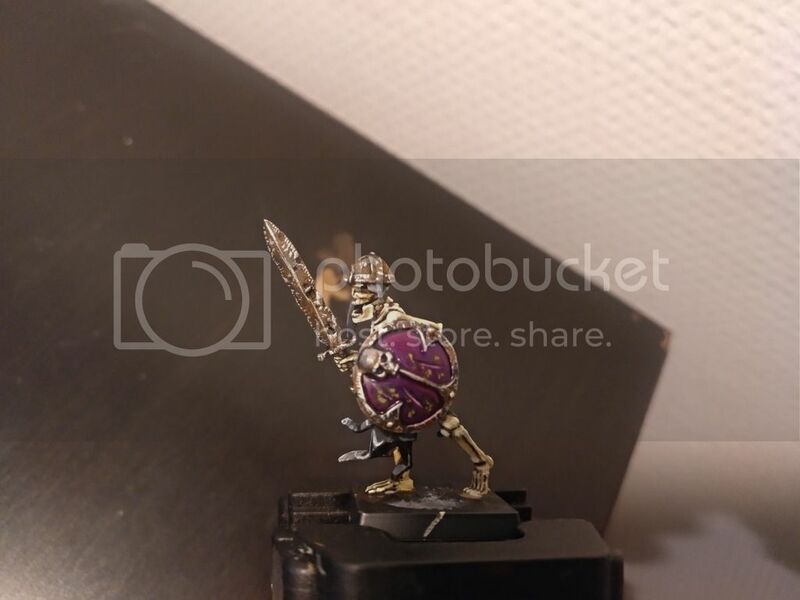 The purple works well with the bone color. It's shaping up to be an impressive unit. 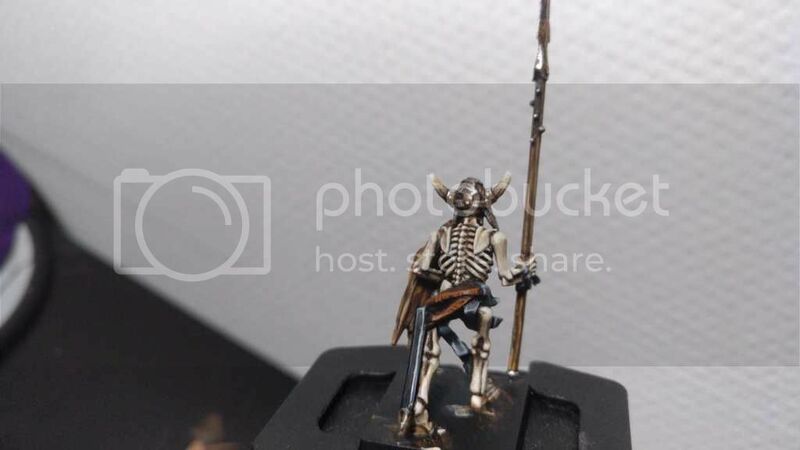 The variations in bone color are indeed there. 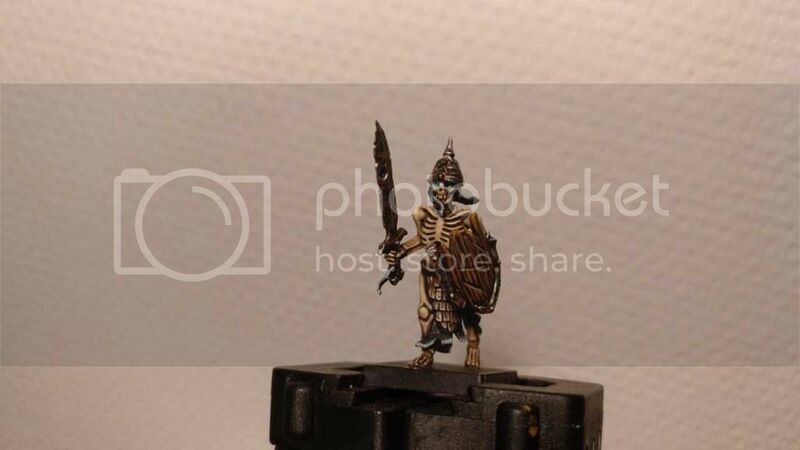 I like that they are reasonably subtle, which makes it a complete unit but still interesting to look at compared to uniform "bleached bone". I suspect it will also make your life easier once you've painted a couple of units. 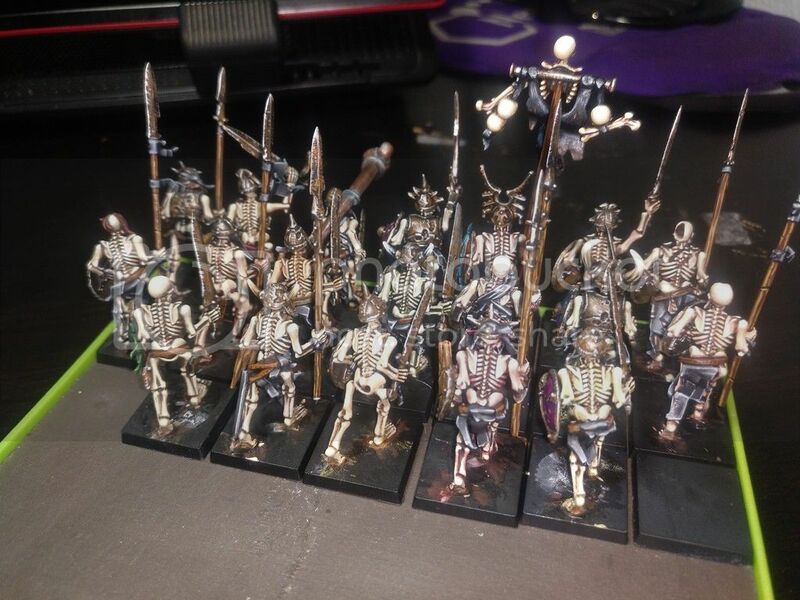 If you have all bone color the same then when you're a year or two down the line then you still have to paint the bones the same way. 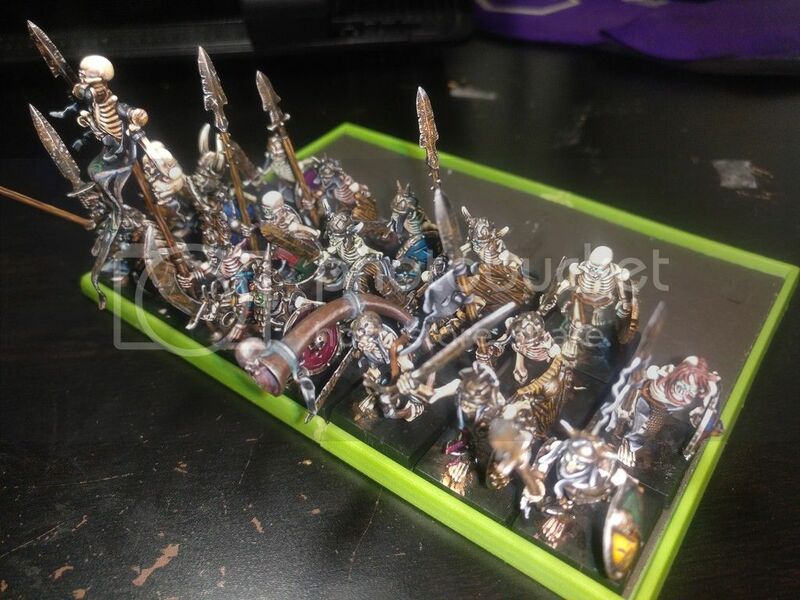 Now you can vary within a unit and from unit to unit without looking weird and your painting can grow with the army. 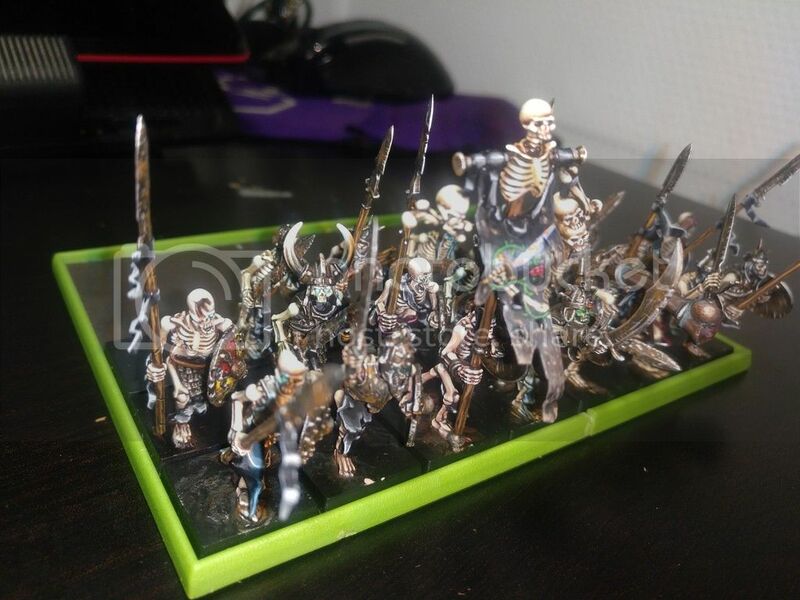 Yes thanks, i also think is a win-win decision to paint the bones with different colours. From here on it started getting repetitive. I think you’re doing a good job of getting variety into a unit that could be very formulaic Mireadur. Thanks! 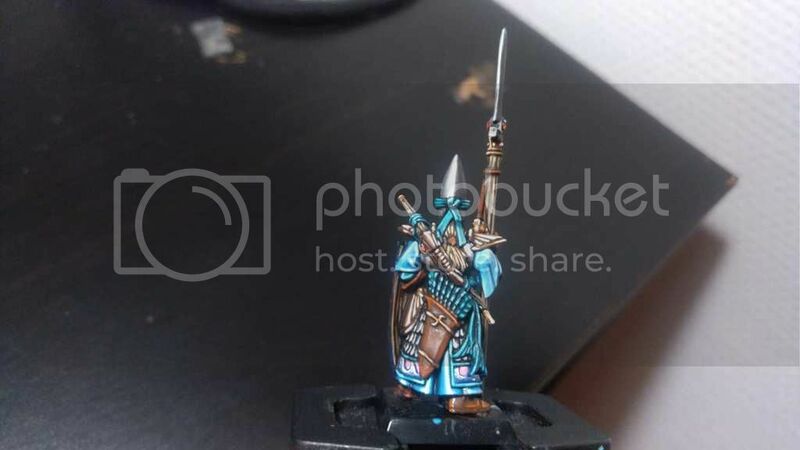 Its really hard for me to paint one model after another always the same, this is really how i came up with adding small variations, to skin tones, bones, shields or switching colours around like in these seaguard. 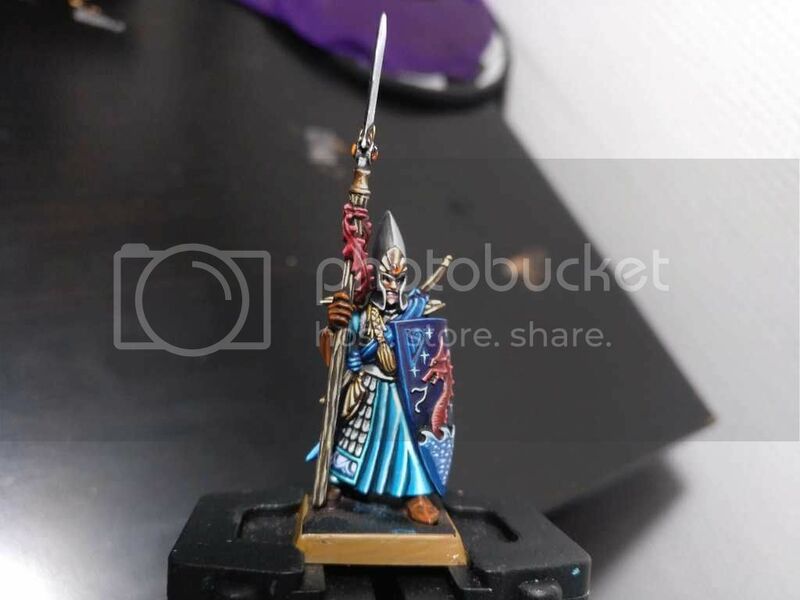 I finished the 1st model finally wooot, man i had 4 of these guys half painted since july last year and i thought id was gonna take less time to finish each one, but it was 2,5 hours to complete one. Still im really happy with the result, also found time to do some small corrections to some of the 4 finished models. So heres the result. The plan is to finish 3 more for Sunday and then maybe i can paint 2 models/week until the end of the month. 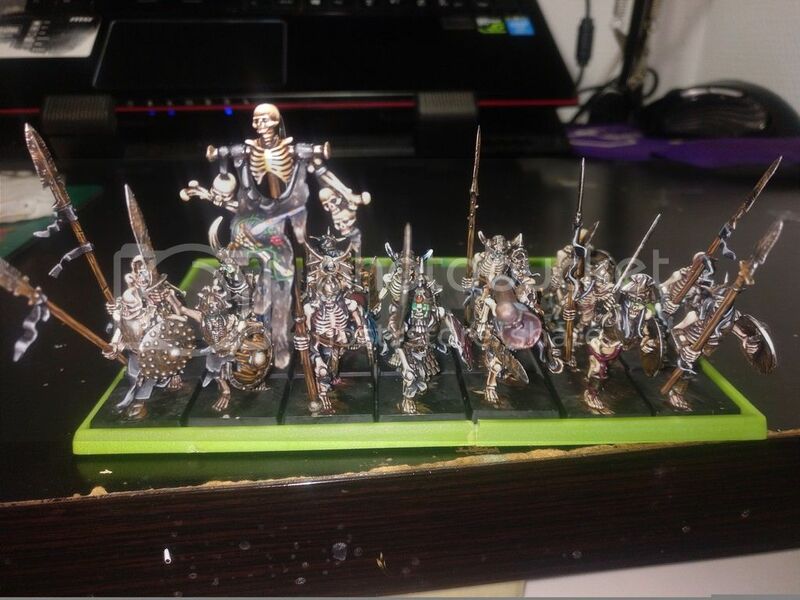 Its taken me 30 hours painting 5 damn basic models. Its trully cumbersome but incredibly rewarding to see them lining up in all these fancy colours. The really are stunning models. I really like the robe, it seems to glow almost. 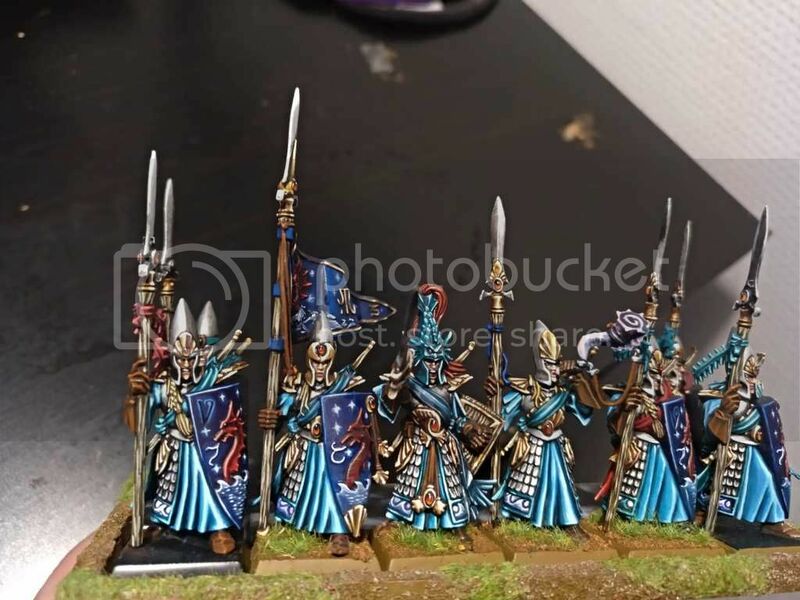 The Undead are an interesting change Mireadur but I have to say these elves seem more you. Thanks guys.. I think this is my best unit ever. I cant stop looking at the pictures myself. 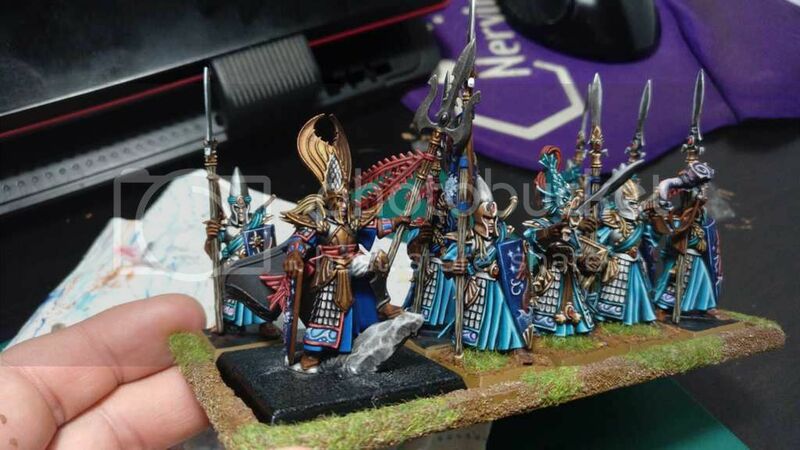 Im going to paint the seahelm next week, as soon as i finish these 4 models im working on and before the good moment i feel i am in fades away. EDIT: another one finished. Now i have enough for the 1st row. 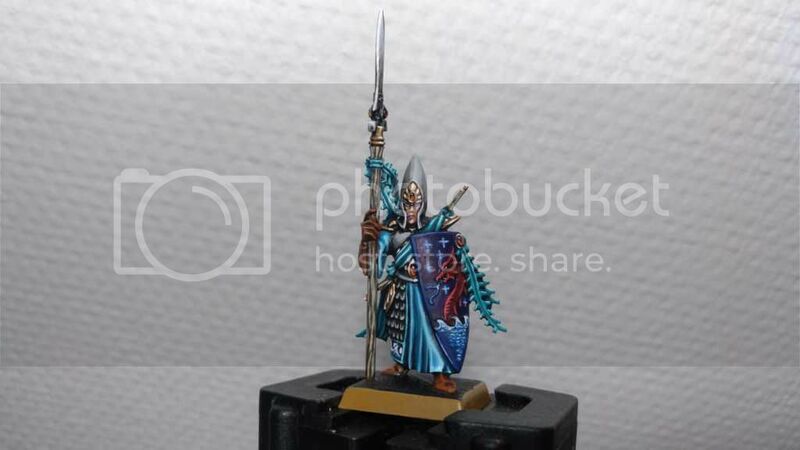 The thing I really envy is the delicate colour balance, especially with the shields. 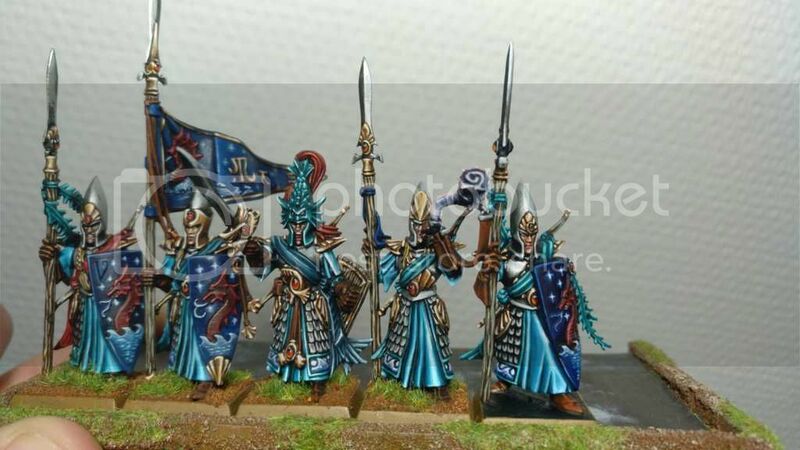 Painting Harlequins for example would be my worst nightmare. This is very much true. You would expect blue on blue to not work. But it very much does. The unit is becoming lovely. Thanks guys. 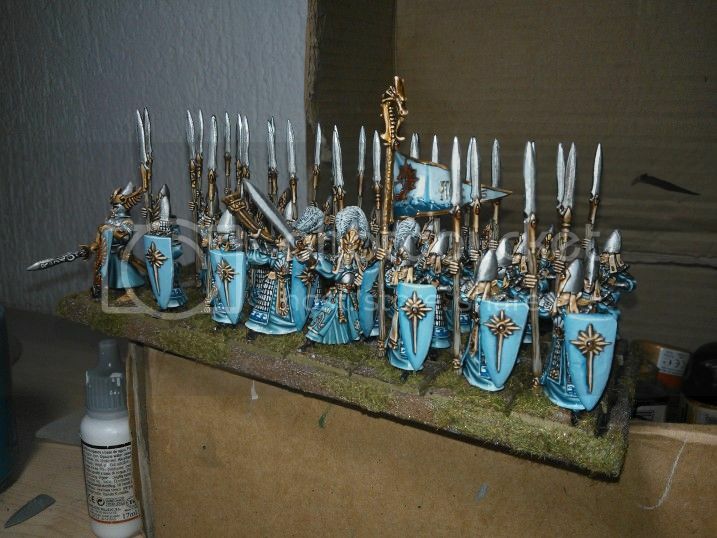 The truth is that i start adding paint by feeling, hardly do much planning other than the general army colours. 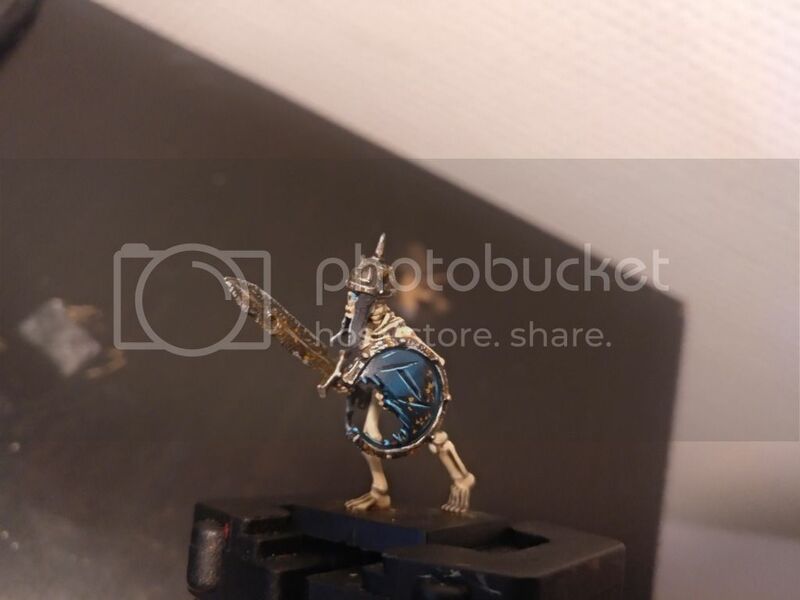 With these guys, as i was gonna start painting the 1st shield i thought i'd be nice to make a midnight sky heraldy since the metal SG unit i did long ago is the opposite, and apparently it did work! 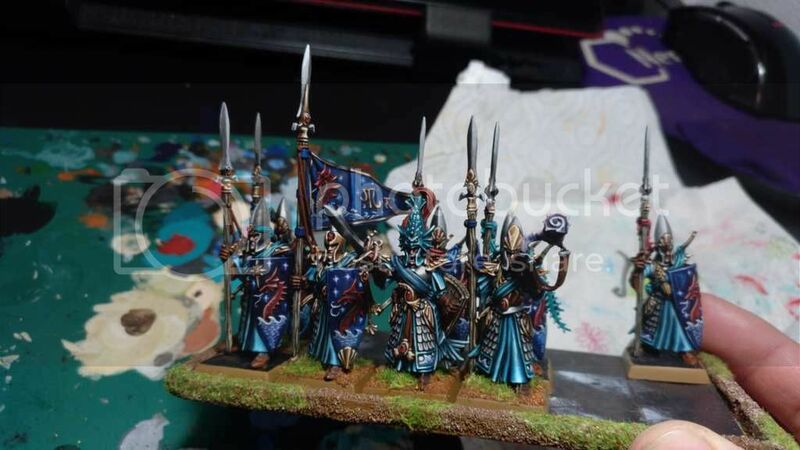 These were the original SG metals i painted, notice the clear day sky on the unit banner as a contrast with the midnight new one. 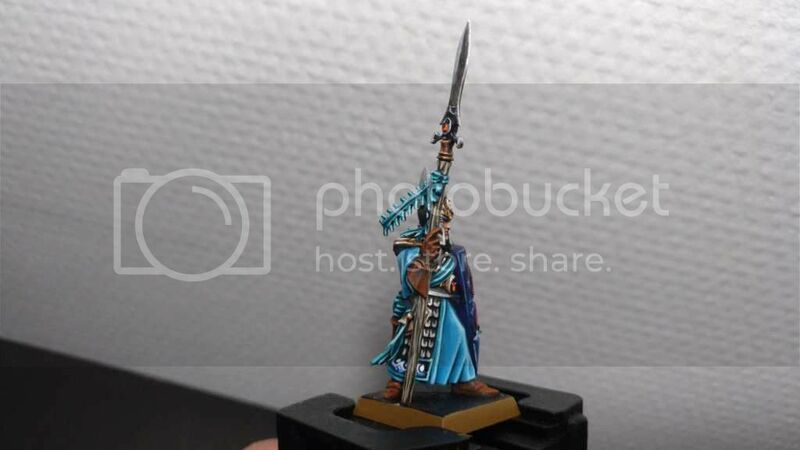 The new ones are beautifully painted but I much prefer the older models. 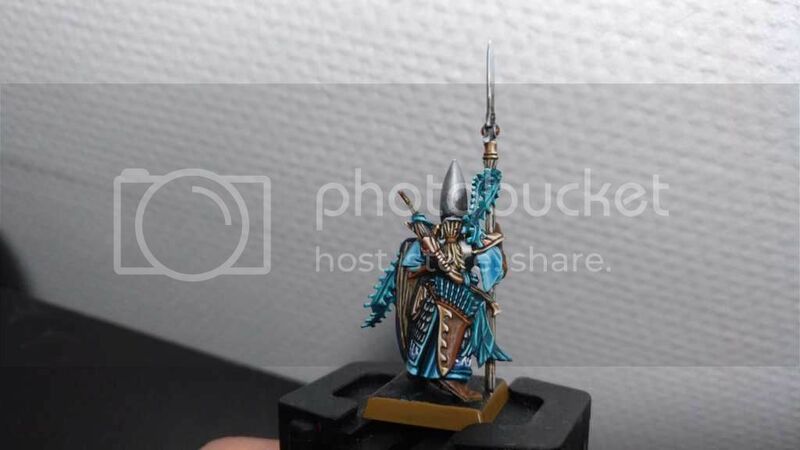 Amazing paint job as always, really love the colour of the shields. The fletching on the arrows could maybe be another colour just to contrast? I agree with SA. 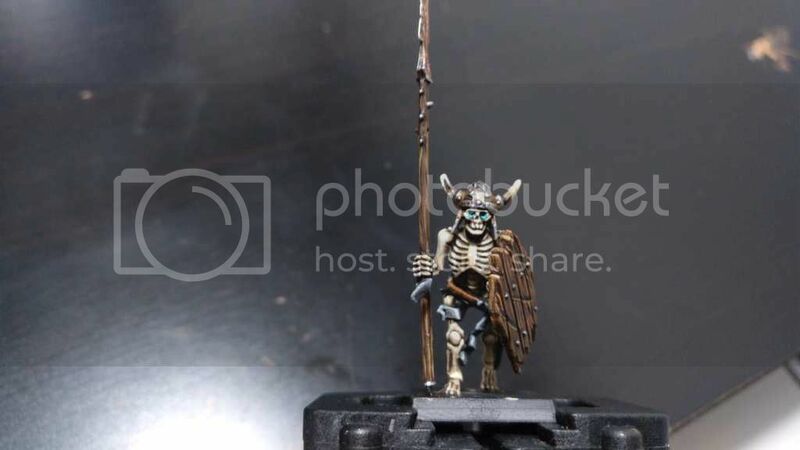 The new models are great (and maybe even better painted). But those old LSG are just amazing models and it's a beautiful unit. I personally like more the new ones, but their problem is that they are extremely busy models, specially for core troops. EDIT: 1 more done and seahelm time! Basing is just right Mireadur. EDIT: Seahelm early WIP. I think the face and helmet is based on Leonidas in 300? It's probably the fact that he's made of plastic. It's looking good though. 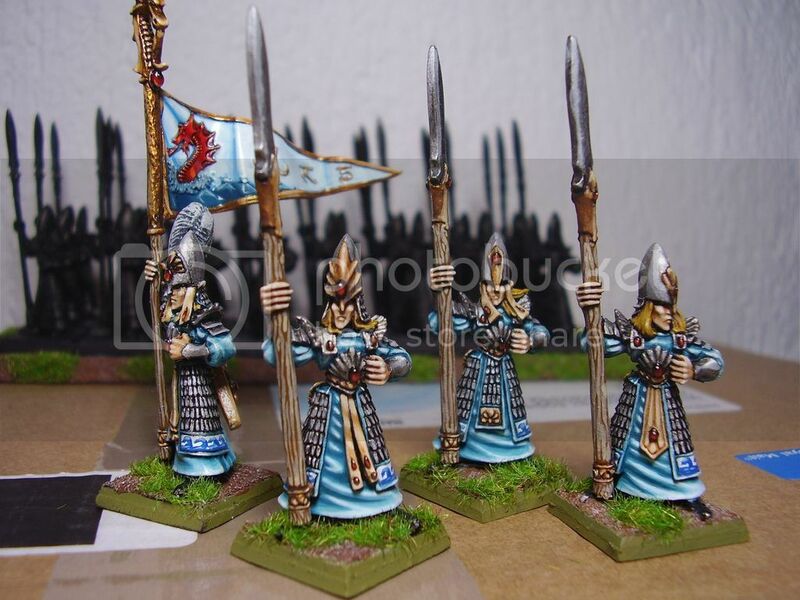 And the seaguard are impressive (even if I do have to add another vote for the metal unit). It's probably the fact that he's made of plastic. based on Leonidas in 300? I saw an absolutely amazing paint job on an Ariel the other day. It haunts me like a scene in a horror movie. There's the reverse as well though. 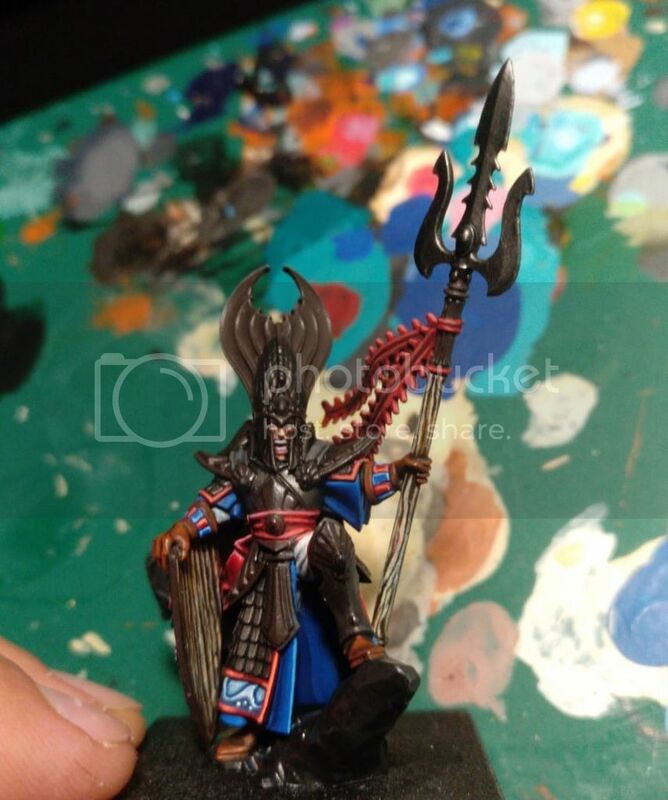 GW often seems guilty of this, with bad paintjobs on otherwise nice models. 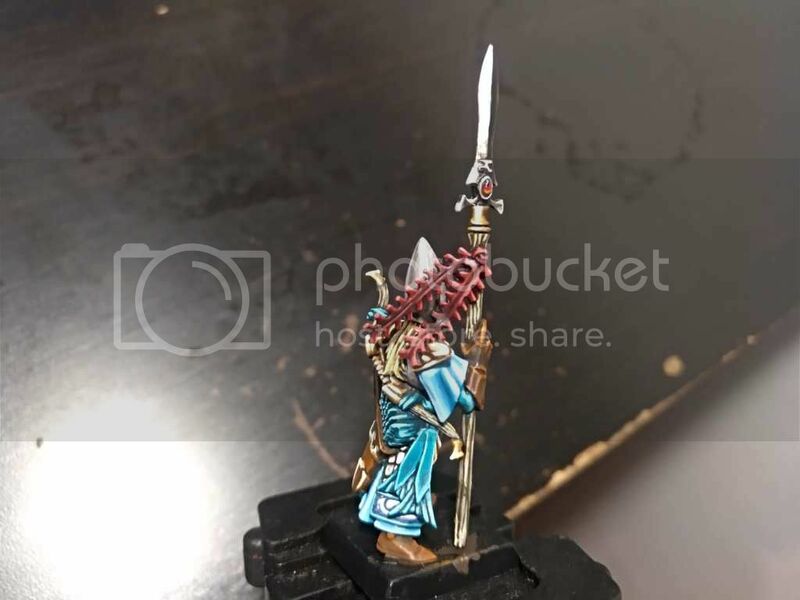 Lol really the only model i find grotesque from GW is the daemon prince primarch magnus, which looks more like a tenerife's carnival queen than a WH miniature. 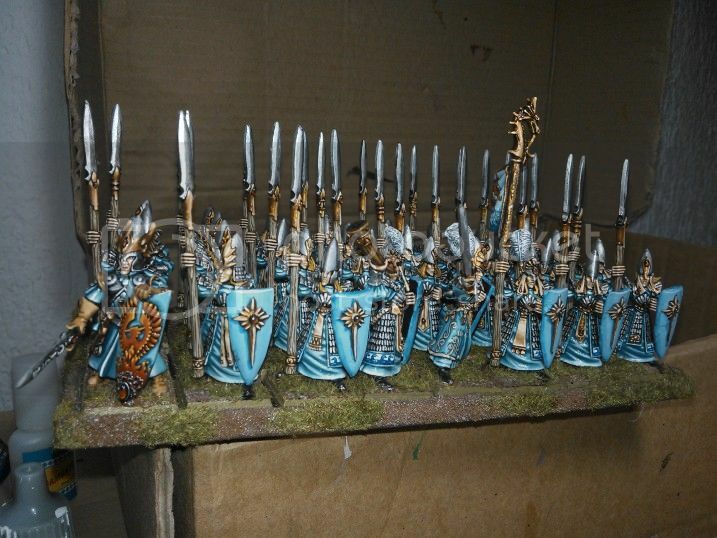 For the rest i really like the paint jobs and of course all of the models of late. 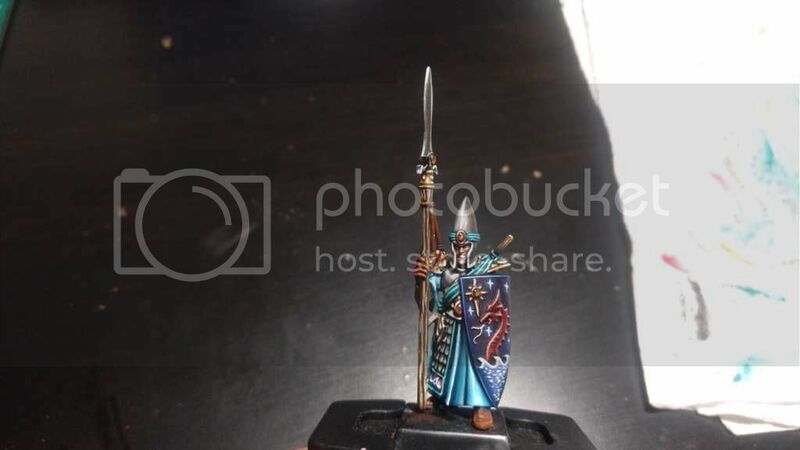 UPDATE on the seahelm: This one is coming out hard, i dont know if its too busy or what but im a little stuck and ive been having trouble to paint it since i started a week ago. Today's been the best day, however, and i could finally put a decent amount of time on it. Still half way, i guess. Tomorrow i plan on finishing the metals and then it will look almost done. The cloak im leaving it for the last as i dont know yet what to do out of it. 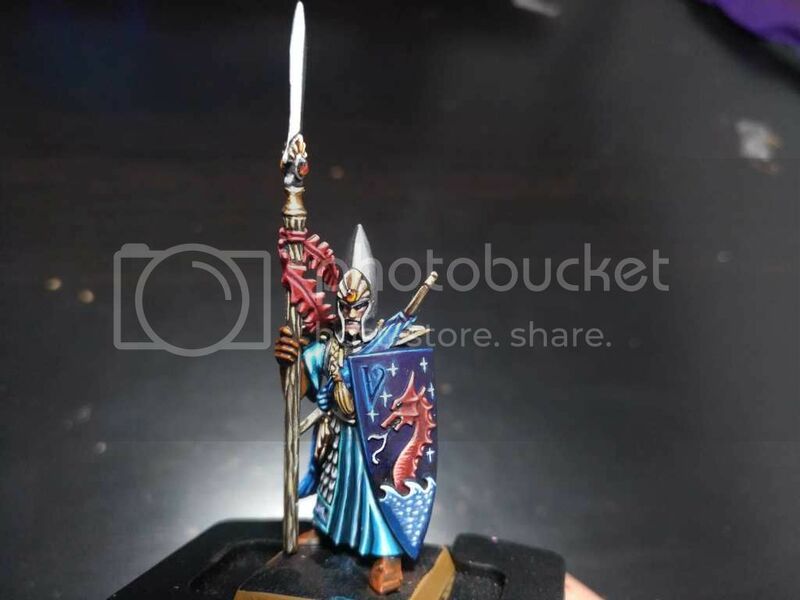 Im feeling like doing some kind of marine freehand but we will see. 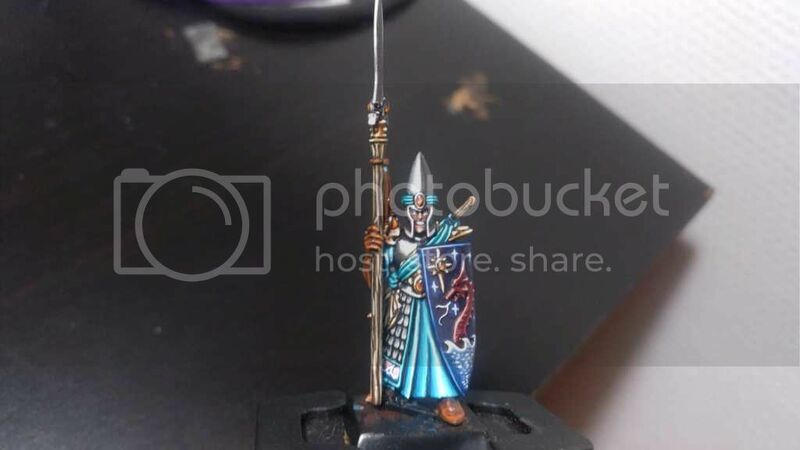 With the metals and the gems done i think i will have (finally) a clear view of where i want to get with this guy. I've had this issue myself lately. Things are just taking longer than they should. The progress you are making looks good though. 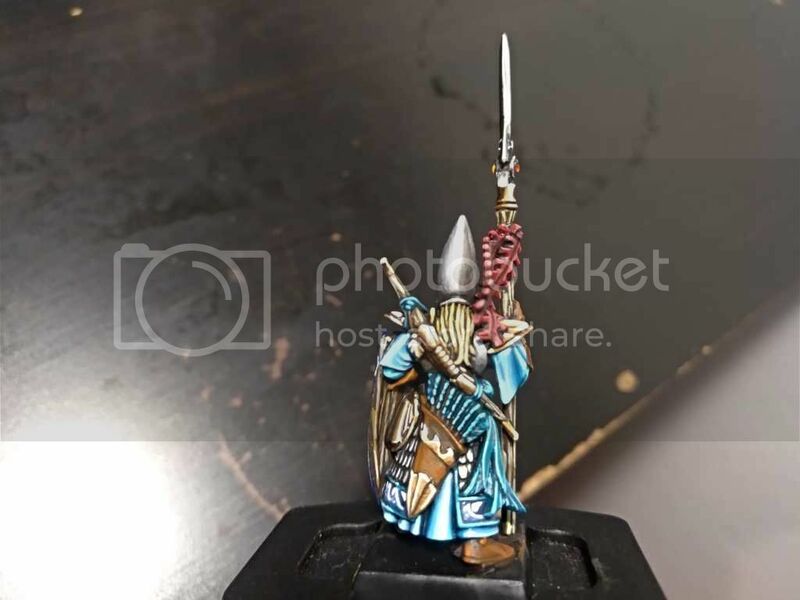 Someday I'll paint up this era of models. Thats exactly the feeling with this guy. 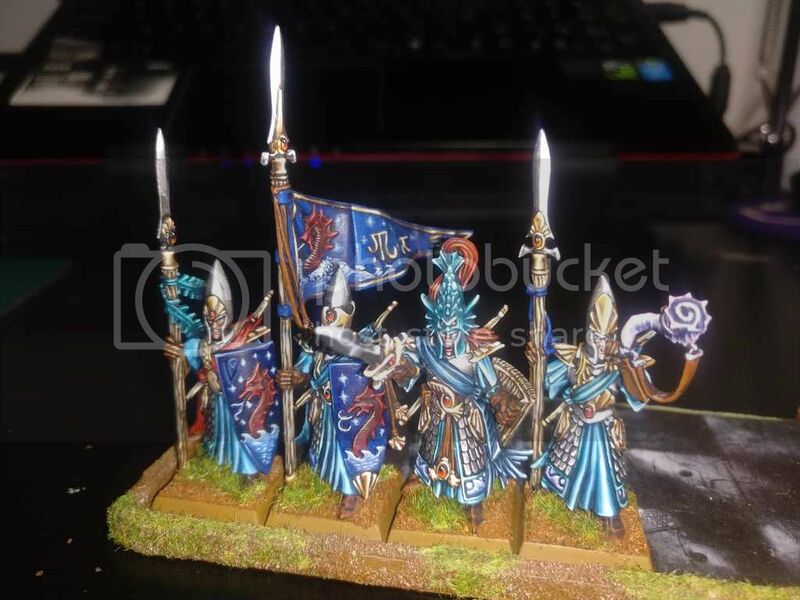 It reminds me of the azhag the butcherer i painted, that wyvern was a pain, deleted and started over 3 times. That guy is huge, must be some kind of elven primarch.